After a cold night spend at the Flaming Cliffs we continued our way to the Ongi Khiid Monastery ruins, located at the Saikan Ovoo Soum mountain slope, in the Middle Gobi province. The ruins once were a big Buddhist monastery compound, housing over a thousand Buddhists monks. 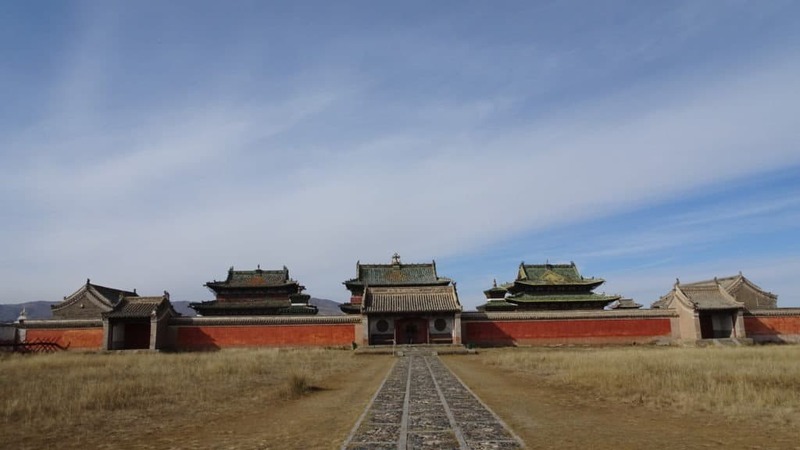 Unfortunately, this monastery, together with around 700 monasteries were destroyed during the communist times around 1930. It’s was hard to picture what it once might have looked, but it sure had a big surface and was interesting to walk around. The nice, mountain slope scenery and the nearby Ongi river added to the charm of the place. We walked around for a bit and hiked to a golden Buddha on top of the site. Then we walked back along the Ongi river, making pictures and enjoying the scenery. 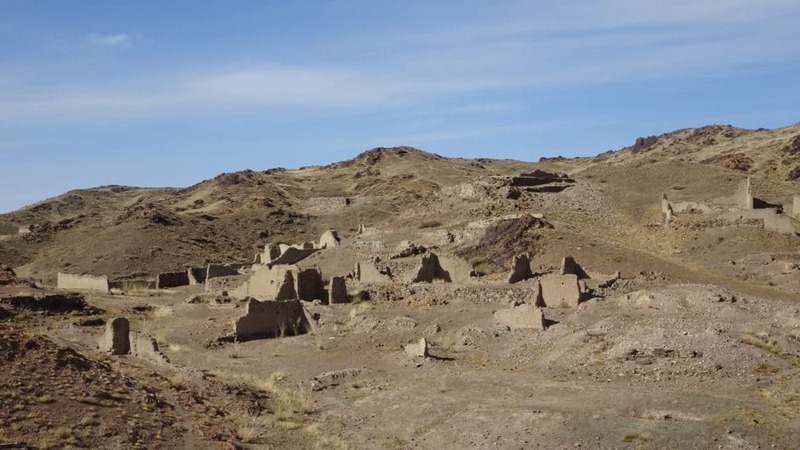 After visiting the ruins, we drove further until we arrived in Arvaikheer. Super strange to see a complete city appearing after hours and hours of nothing. Tonight we slept in a hotel. This was good for a change. 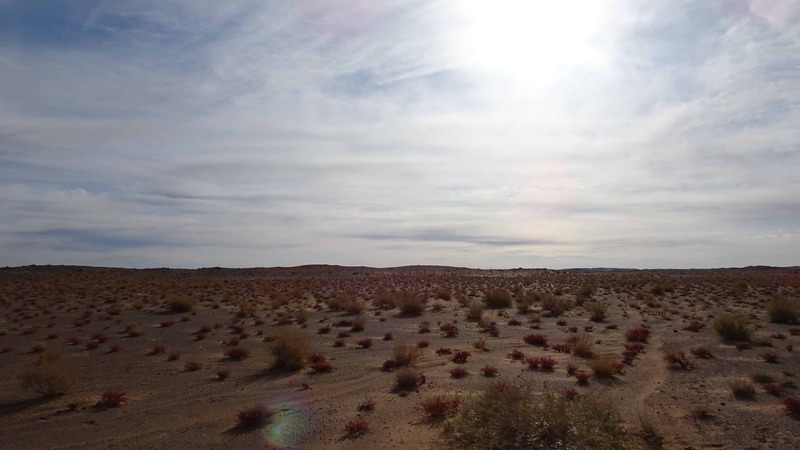 The past few days I’ve seen the landscape changing from steppe to sand, to rocks and mountains and back to steppe. Really fun to see! 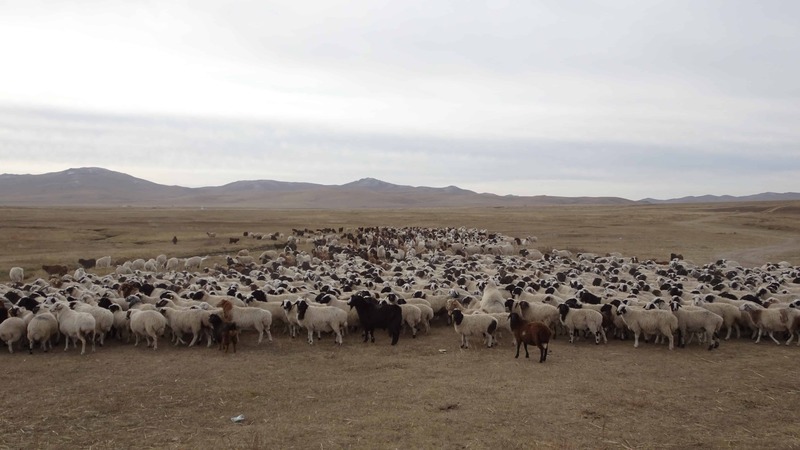 Mongolia is a diverse country. 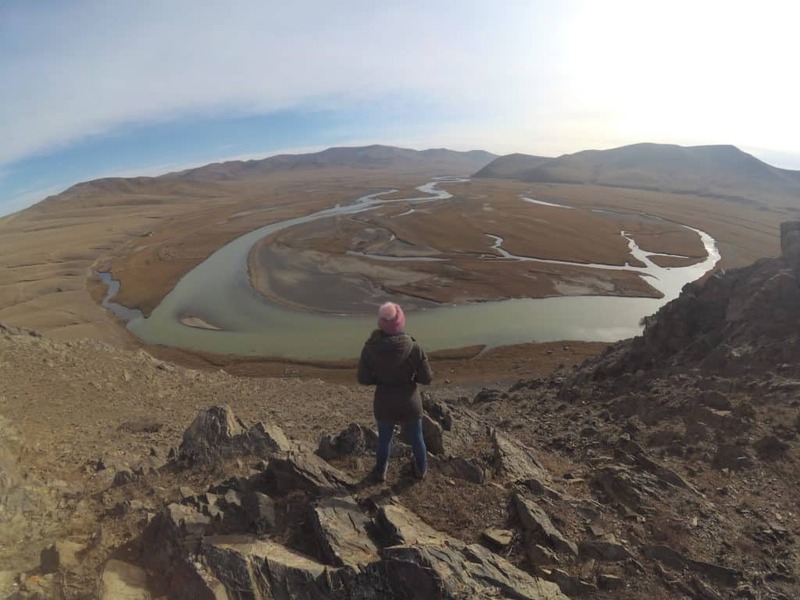 After a warm night we continued our way to Karakorum, the lost capital of the Genghis Kahn Mongol Empire. During our time on the road I spotted my first yaks! I thought that Mongolia was revered to as the land of the yaks, but now I know it is the land of the horse. 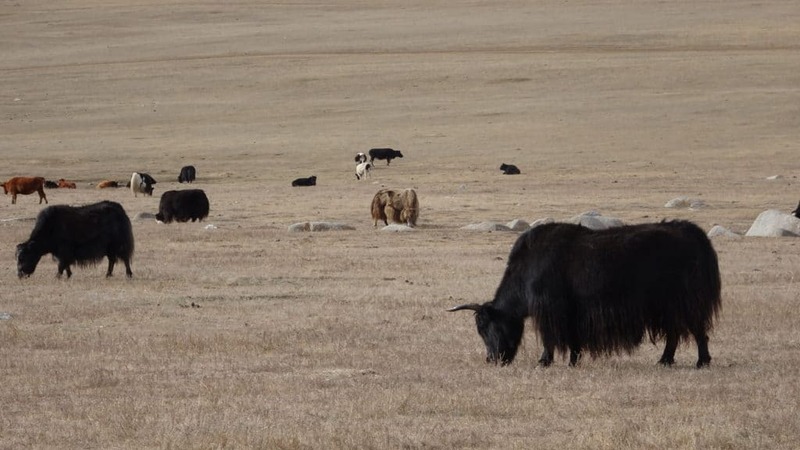 So far, we’ve seen quite a lot of horses, camels, cows, sheep and now also yaks. 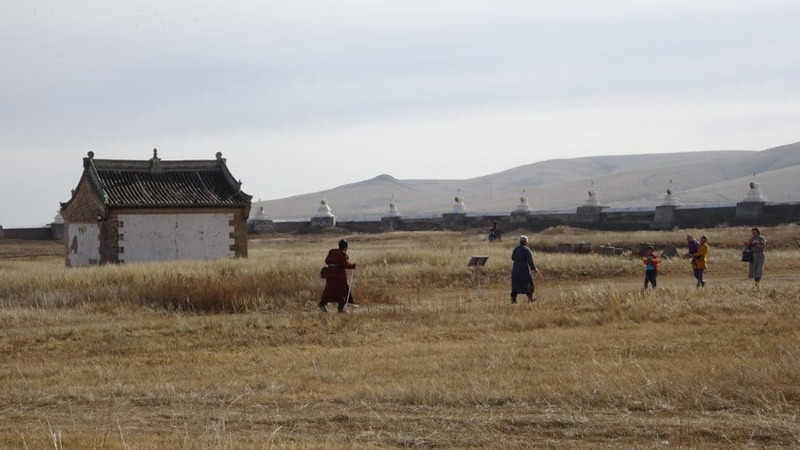 The nomadic way of living still exist in Mongolia on a large level. Super interesting! 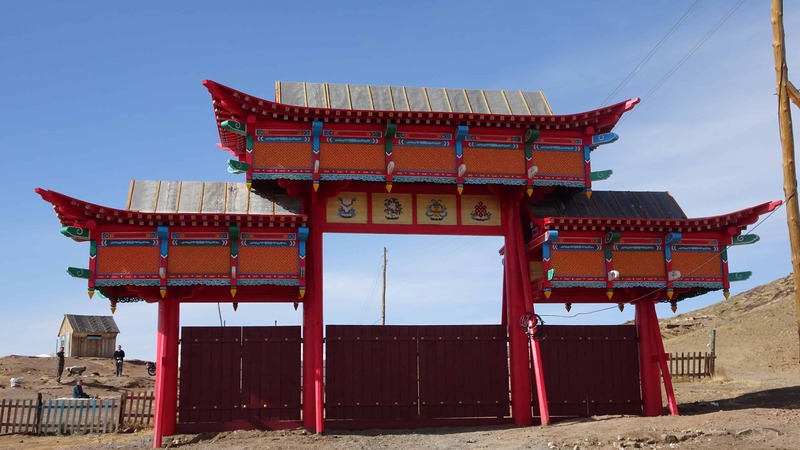 Close to Karakorum we visited the Erdene Zuu monastery. An old monastery that is still operating today. 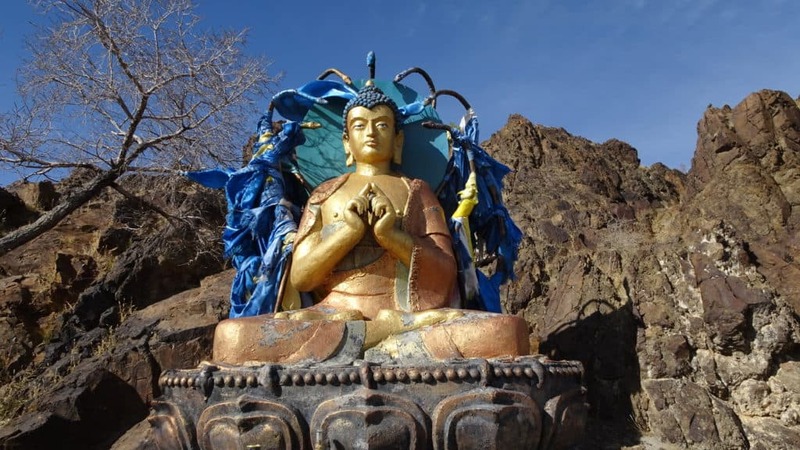 With a mix of Mongolian and Tibetan Buddhism. 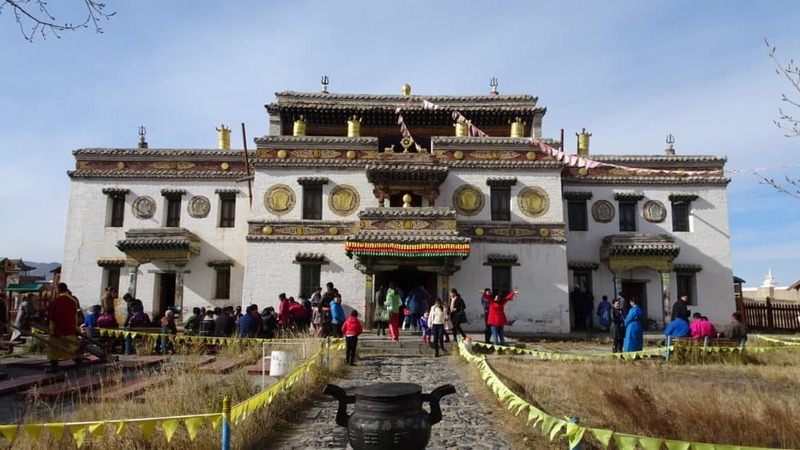 When we arrived the monastery, young monks were just preparing seats and later on three older monks were speaking to the visitors. There were lots of gold and silver colored cans that people spin while saying prayers. Inside the building monks were practicing their religion, reciting prayers and reading from books. It was interesting to see the complex and experience the prayers. In the meantime it had already became afternoon and we hadn’t eaten anything yet. Jack (the driver) took us to a local restaurant were we all ordered the meat pie, locally known as Husuur. After this large lunch we had another few hours left before the dark would set in. We drove to valley for a nice view and after visited a local market, which really wasn’t much! Jack already wanted to find a hotel, but we weren’t excited about that. It was still light and the Karakorum area has many nice things around such as hot springs, inscriptions and a waterfall. Unfortunately Jack told us the road was too bad to go any of those places at this time of day. We were able to go to the nearby sand dunes, smaller than the ones in Khongoriin Els, but still a nice place to see. Again we would stay in a Yurt and this one was the coziest, homiest, and most beautifully decorated so far; with a cupboard, a washing table (without water) and even a mirror! Again we ate rice and tuna and finished all our food, beer and vodka. We bought exactly enough to for the whole trip! 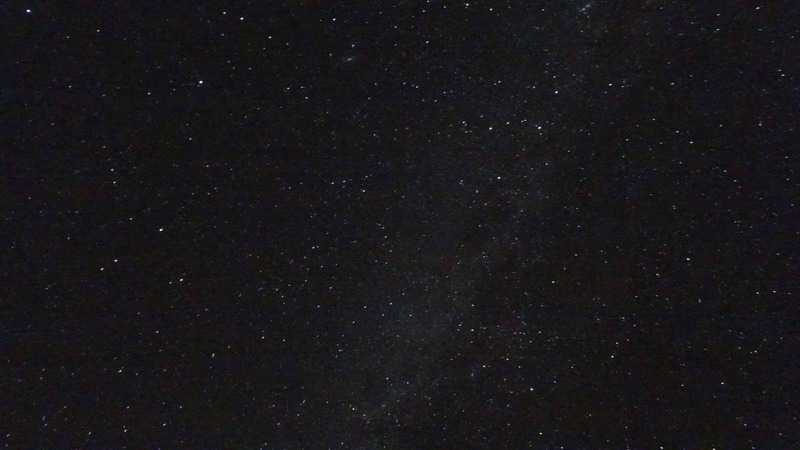 At night, we saw the most impressive starry sky so far. With a super bright Milky way, signs and galaxy’s. A perfect ending to a perfect trip! 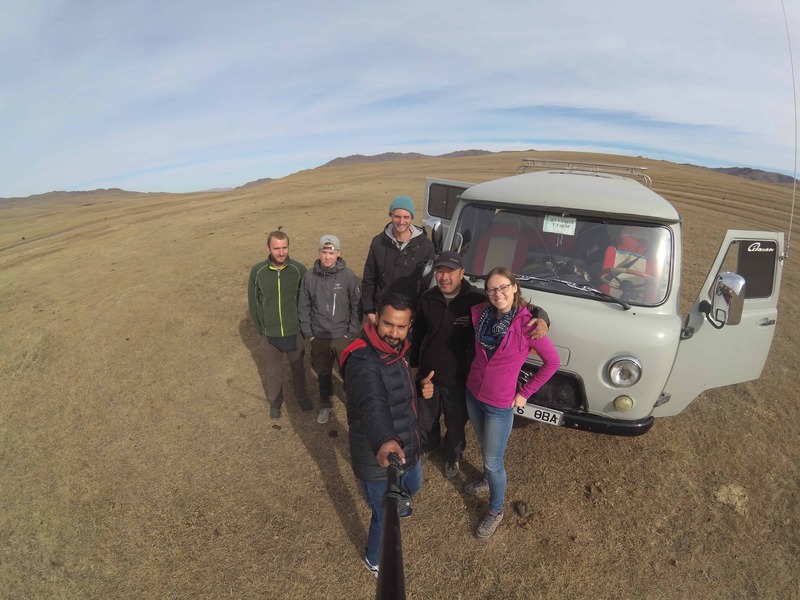 All together it’s been a great and adventurous weeks with many highlights; the beautiful and impressive views of Tsagaan Suvraga and Yollin am. The playful sand dunes of Khongoriin Els. 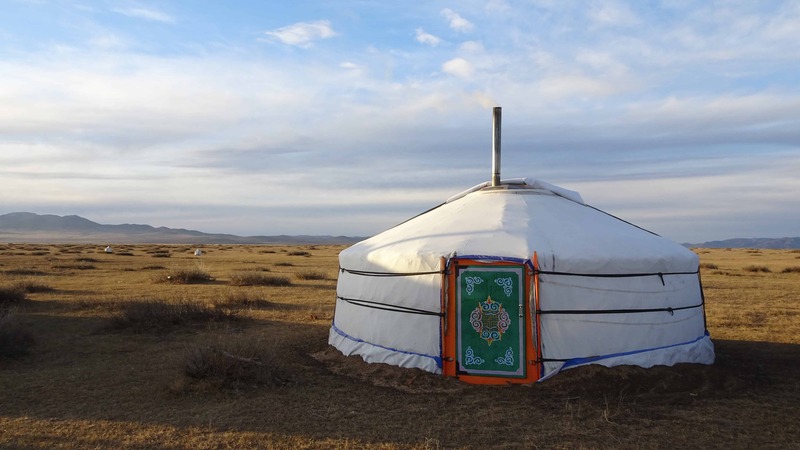 Experiencing the Mongolian nomadic lifestyle by sleeping in a yurt. Spotting cattle and yurts in the middle of nowhere. Crossing the Gobi dessert in the most awesome Russian van you can imagine and spotting many starts, the Milky way and galaxy’s at night. Mongolia has enriched en surprised me. Couldn’t have been better!